I mentioned a few months ago that my wife and I are planning a South Africa Trip, and that the cheapest miles I have right now to book the trip with were my Delta Skymiles. Using 300,000+ miles in one gulp is tough to do, but I encourage all Milenomics to get out there and use those miles! The flights have been booked, and we’re looking into hotels and Safari options. The cruel irony if the booking will become evident as I explain booking this trip in detail. Delta is a member of Skyteam–along with Air France and KLM (and many others). The three Skyteam airlines that fly into JNB are Delta, Air France, and KLM. An Additional DL Partner airline that flies to JNB is Virgin Atlantic(VA). VA is not a skyteam partner–just a partner of Delta. Both AF and KL have a unified award program, called flying blue. There’s a lot of history between DL, KL and AF. We’ll skip most of the interesting parts, like AF creating a class of awards that can be redeemed for 25% above the saver level that partners can’t access. Or Delta blocking AF award space (or was it the other way around?). Regardless there’s been some, *ahem*, issues between the partners to say the least. Delta Skymiles members have 30 days without competition from Flying Blue members. This means that seats can be snapped up before FB memebers can even hope to see seats. Alaska members can also steal these seats during this time. AF tends to offer a few (3-5) business class seats on popular flights at 331 days out, and then release more as time goes by. They also use those classic + 25% awards for their members, blocking Delta that way. Ordinarily I don’t buy into the booking 331 days out routine. I usually book both my AA and United bookings around 6 months ahead of my trips. Booking 6 months out gives you the added benefit of being able to travel on a free one way anytime up to 1 year from the booking of your ticket. We’ve discussed these free one ways many times here on Milenomics. Book 331 days out and your free one way can only happen on the outbound portion of the trip, or 1 month or so after your trip–and you’ll have to call and change the ticket to use the stopover in this way. With Delta awards the best advice I can give you is: Throw everything you have at the problem. If you really want to guarantee you get your flights, and there are seats available 331 days out there’s a 100% chance you can make the booking happen if you book 331 or 330 days out. Whether you can make it happen as you get closer and closer to the travel date is questionable. And with booking an award to South Africa, in the summer I’ve got two issues: Europe award space in the summer, and connecting flights to JNB. I wasn’t going to let this go to chance, and so I worked i out as far ahead of time as possible. My actual booking happened around 323 days out. Delta’s page on Award Travel tips, the rather tonge-in-cheek “Who plans a trip that far in advance? Some people do. You can too, if you want.” I couldn’t have made that up if I tried. A Second big issue is that because Delta has round trip pricing you can’t just book one way, and ticket it, and then call back and add in a return flight. To do that you’ll pay a change fee, or be a PM or higher to have the change fee waived. Further complicating things, DL also doesn’t allow holds any longer. Their recent Quarterly profit came in nicely–so expect these types of fee grabs to continue. With holds at least you were able to hold the outbound a few days before 331 from the return, and then call in and add the return and ticket the whole thing. One good thing is that it seems as if eliminating holds has opened up more options–at least in the searching I’ve done. Customers (myself included) would hold all kinds of seats and never ticket them, limiting what you saw when you searched. At least now the searches you’re doing return seats available minus anything that is ticketed. DL Elites can still cancel and redeposit tickets, but they need the miles in their account to do so in the first place. 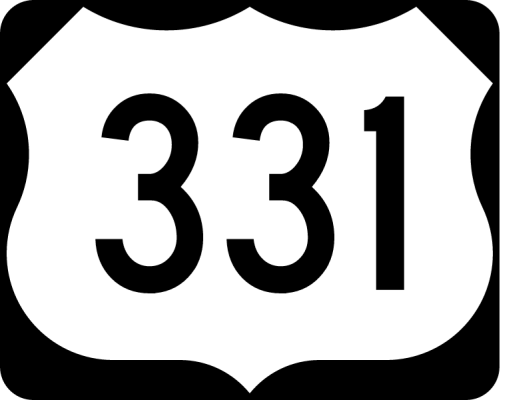 At approximately 11:30PM the night before 331 days out, start trying to book that flight. I’ve had success as early as 30 minutes prior to midnight, other times only right after midnight did the flights open up. What I can say is that as soon as 12:01 comes around those seats will start to disappear. I once booked an AF CDG-LAX return for a friend and watched EF go from O-5, to O-3 to O-1 in 10 minutes. Set an alarm, stay up late, do whatever you can to remember to book those seats. By 12:30 they’ll likely be gone. Practice this with flights on days you don’t want to travel. This might mean starting your booking and searches a week early–but you don’t want your first attempt at this to be when you’re booking for real. There will be hiccups (like forgetting to log in before searching), iron those out with practice bookings. Sometimes DL won’t load at 331 days, and instead loads at 330 days out–if that happens do the same thing the following night; start checking at 11:30 pm, and snag those seats (especially for a family of 4) you’ll thank me later. If you haven’t already signed up–there’s a waiting list for tickets, and I suggest you do put your name on that list, the sooner you do the closer you’ll be to the top if/when more tickets become available. So I’ll literally be in Seattle, leave, miss the sessions, and then be back the weekend after. Of course I booked this before the session dates were firmed up. But with my luck it has played out this way. What I do know is that I’d really like to make the Seattle Sessions work out–not only so we can get into more advanced Milenomics in person–but also to meet and spend time with fellow F2B bloggers. My wife and I are working on alternate plans and I’ll keep you informed via the blog or twitter if things work out for me to make it to the Sessions. I used Alaska Airlines site and Delta.com for this booking–I wanted to ensure I used 100% free sites that readers have access to. Using Expert Flyer would have maybe been easier–but ultimately I’m happy with the route and the layovers and such. I was actually surprised that the search went as smoothly as it did–constraining myself to free search engines had me expecting to have to piece things together by hand. Calculating a value for these miles. Long Haul business class awards are a difficult to put a value per mile to. Would I or my wife have ever bought these two flights retail? With a retail price (combined) of nearly $14,000 absolutely not. But the other side of that question needs to be asked: would we ever fly to South Africa in Coach? We might, but it isn’t likely. I’ve said it before we collect miles to travel–and unlock places and experiences we otherwise wouldn’t. Travel is trans-formative–and putting a value on that is not important to the overall picture. My cost per Delta mile (including my time, at my $25/hr T-Rate) for this trip is $1184 or so, and I’m perfectly happy with 2 tickets in Business class for that. $14,000 – $320.40 (fees) – 44,000 Miles not earned * my Average DL cost $.00375 = $13,514.60. Divided by our total miles spent: 320,000 Gives us $.042 per mile. 4.2 Cents per Skymile. As I said, this isn’t a good example because I would never buy a full price $7,000 Business class ticket (and no one should). But it does make me feel a lot better about all those Wal-Mart MMRs I’ve had to schlep through. And it is a good illustration of the value you can get from Skymiles. Do they require extra effort? Sure. Is the payout any less sweet? I don’t think so. South Africa is such a fabulous vacation spot that even going in coach (as I did, and the return trip was in a middle seat between two large, annoying men) is worth it. I’ve been to about 15 African countries, and SA is the jewel of the continent, hands down. Expect to have a spectacular time! Thanks Reese, I’ve been bummed out since realizing the date conflicts. Reading your comment has me starting to get re-energized over it. Will also need some positioning flights, likely from MQP to CPT, and then from GRJ or PLZ back to JNB. Miles: Can’t book those Emirates options with DL miles–I would have been all over them if I could 😉 There’s no way I can afford the high end Safari Lodges (think Sabi Sand) so I’m going to be interested to see how I do this too. Thanks for the kind words. I am also eager to see how the trip plays out as I too would love to go to SA. I look forward to future posts on the other arrangements you make. Thanks. Got a ton of DLpesos (and Diamond status), but we didn’t even consider using those fetid points. Good stuff (found you via TBB). I like to use RSS to follow you. How can I do that? I tried in Chrome and it didn’t work (gives me a page full of “code”). But it worked via Firefox. Thanks! Dont stress about Seattle sessions but if you make it work then awesome! Australia is on my list too! Or maybe you meant both? LoL. I’d like to go to Australia as well. Too many places, not enough time off.